Additional Notes: Toby is a light brown with a dark nose. He’s full of energy. He likes to bark but will only lick your face off. He’s extremely loveable. 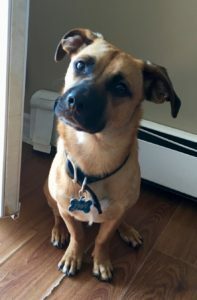 Toby went missing from hardwood hill area and was last spotted on cottage road running towards George at 130.